Have you ever wondered what the headquarters of one of the world’s most famous restaurants looks like? It’s probably like getting a backstage pass at the concert of your favorite band! You’re a fan and you’ve bought all their records and know all their hits, but you’ve never gone behind the scenes to get an exclusive experience. How cool would that be? Now you might be thinking, “What’s Bacon Hour?” In case you missed it, Bacon Hour was a first-of-its-kind celebration of bacon’s arrival to some of McDonald’s Classics – Big Mac® Bacon, Quarter Pounder® with Cheese Bacon and Cheesy Bacon Fries. For one hour on Tuesday, January 29, McDonald’s let bacon fans everywhere get bacon with ANYTHING on their menu, at no additional cost. You read that right. A full hour of bacon dreams coming true. The result was a baconized version of your favorite McDonald’s item. So, let’s say, you’re in the mood for a McChicken with bacon? No problem! How about an Oreo McFlurry with a side of bacon you can dip? Done! It was amazing! If you’re a bacon fanatic but missed Bacon Hour, don’t worry. 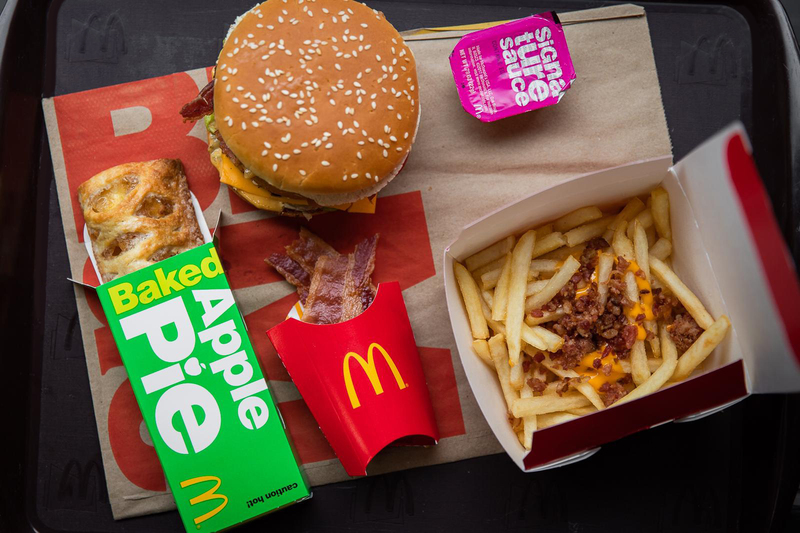 For a limited time, you can order the Big Mac® Bacon, Quarter Pounder® with Cheese Bacon and Cheesy Bacon Fries at participating restaurants nationwide and still get all that applewood smoked bacon goodness. All worth a try before they’re gone, trust me! It almost makes you wonder, is bacon the best thing to happen to McDonald’s Classics, or are McDonald’s Classics the best thing to ever happen to bacon? I love the fact that McDonald’s continues to explore ways to keep their menu fun and interesting, making their food more craveable and delicious! I’m sure, like me, you too may have nostalgic memories of Happy Meals as a kid or grabbing a quick bite with friends on road trips. McDonald’s is a big part of our lives and I can’t picture our food world without their Classics. And now even more so, since I’ve been spoiled with the baconized Classics!